and Under Upload rate change it to Don't limit. 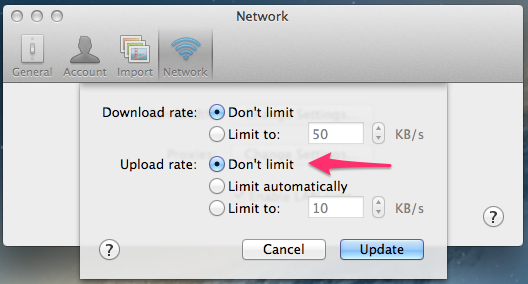 With this the limiter on upload speed is removed, and you have increased the dropbox upload speed. for most of people the above solution might have worked, but for me it didn't work, so I played around and found out a new solution to the problem and that is to update Dropbox to a newer version. Now, many people might get doubts but this worked for me, because Dropbox does not notify its user to update their software until they are using an Outdated version. 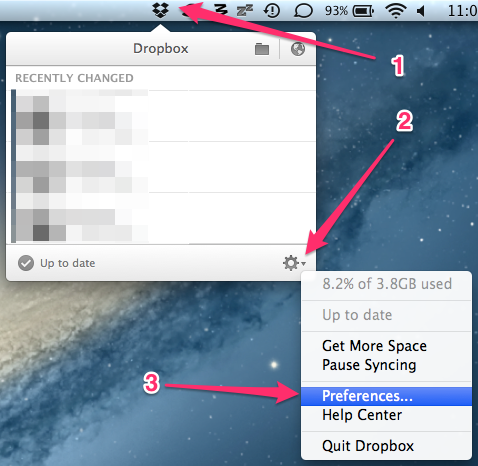 so many people are not using their latest stable version of Dropbox app. So I went and Updated my Dropbox version to a latest stable release and now everything works fine and uploads are quick. The one which was giving me trouble was version 2.10.30 and I updated to 2.10.41 and currently the one now available on Dropbox is version 2.10.46 on the date of writing this post. To update your version of Dropbox app (Software) visit Dropbox download page and instead of clicking on the big Download button I would recommed clicking on the link below it for the offline installer download. I hope this solves your Dropbox problems, if it doesn't try contacting Dropbox support so that they can help you, or just comment below and I will try to look for new solutions.